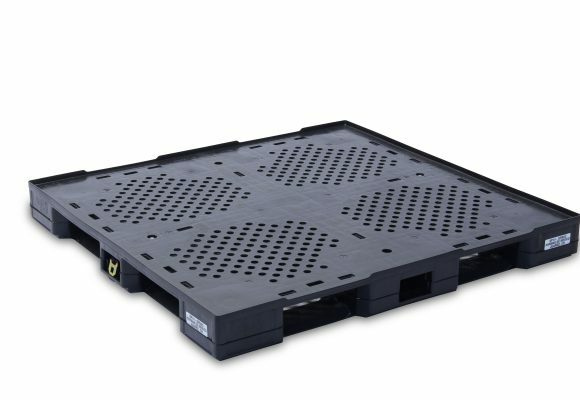 The PK 1208 has three lengthwise skids, and is compatible with plastic containers used in Europe. 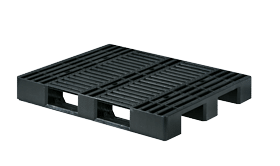 With low weight and low structural height, these pallets are suitable for round-trip transport. Made from 100% recycled polyethylene, the PK 1208 helps to maintain sustainability goals. Plus, with its lighter weight of 27.5 lbs. (12.5 kg), this stackable pallet is great for loads needing durable transport worldwide. The PK 1208 is compatible with plastic containers using European dimensions.